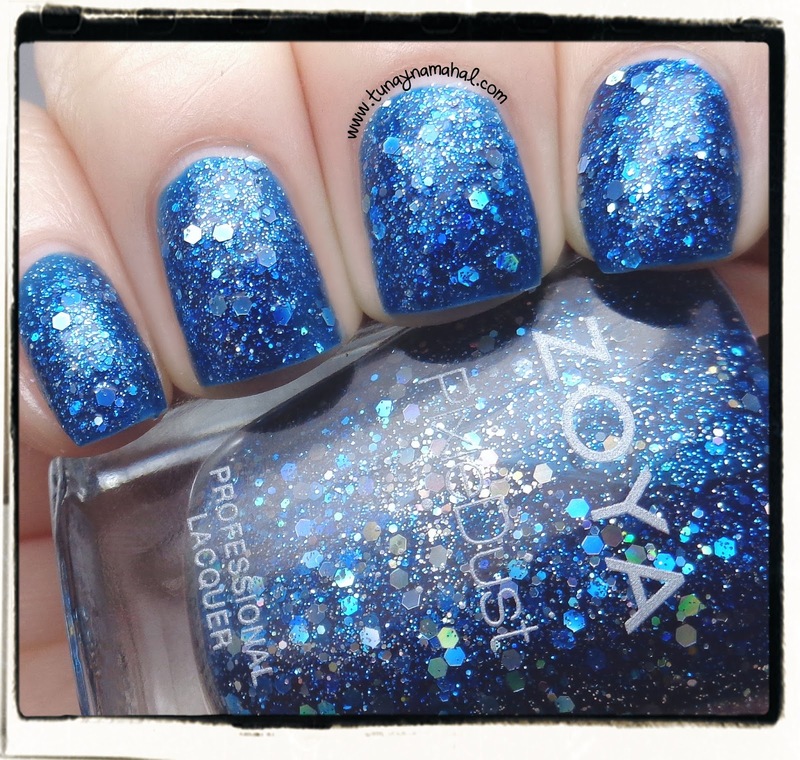 I have the Zoya Wishes, Holiday 2014 collection for you tonight! Please click below to see the rest of this post! Haven: is a holiday plum with an orchid glow. Formula has very nice coverage, I used two coats, plus topcoat. Stamp is Bundle Monster BM412. 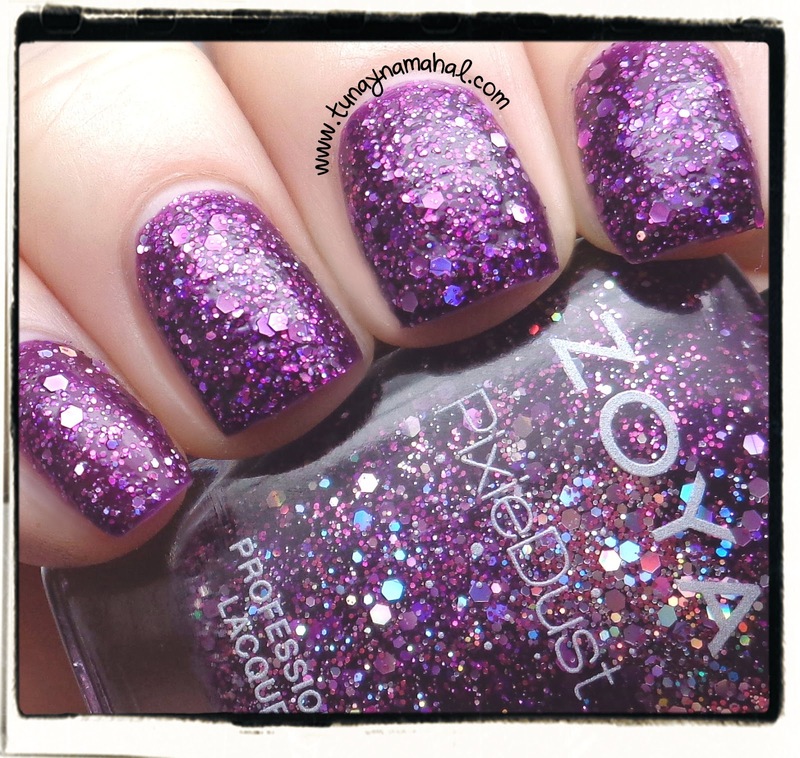 Thea: is a deep amethyst PixieDust with holographic glitter. This has more of a jelly base so it doesn't dry completely matte. I prefer this more with topcoat, as the glitter really pops and it gives the polish some depth. I used two coats, no topcoat. Prim: is a frosty light periwinkle blue. Pretty color in the bottle, but I feel like the frosty finish is so outdated. This one also shows brush strokes. Please note: I did one coat, and then I sponged on the second coat to minimize the brush strokes. You can see the brush strokes more in the macro shot which was just two coats applied normally, no sponge. I used Winstonia Store plate W222, for the snowflakes. Willa: is a full-coverage onyx black cream. (Originally released as 'Black Swan' during Zang Toi's NYFW SS15 show). Two coats, plus topcoat. Stamp is Bundle Monster BM412. 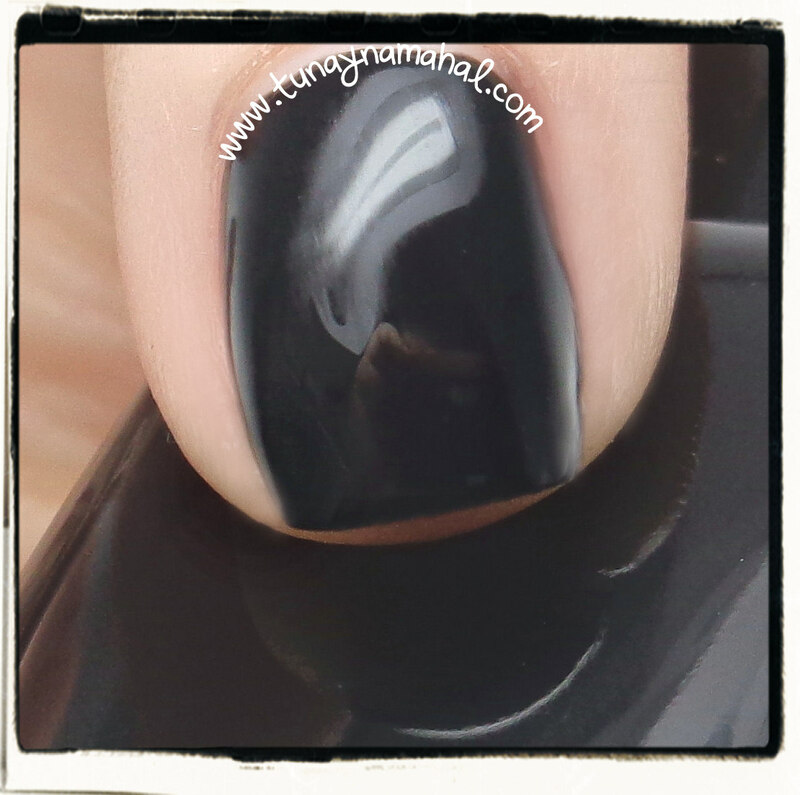 Imogen: is a black crystal PixieDust with holographic glitter. Hmmm.... let's talk about Imogen. This is my least favorite of the entire collection. Without topcoat, it is very Essie Belugaria-esque. It's not a very flattering nail polish, in my opinion. It looks clumpy and bumpy, (even with two coats). Now, add some topcoat and it's stunning. It reminds me of outerspace with topcoat. But without topcoat... I just don't like Imogen. Zoya Wishes is available as a set, or sold individually on Zoya.com. You can also purchase Zoya at Ulta, or other fine salons. The creams/metallics. They are basic colors, nothing super unique. Willa, I know I will use for nail art. But do you need another black cream, if you already own one? Not really. Haven is my favorite, but again they aren't really colors that you would need to rush out and buy. 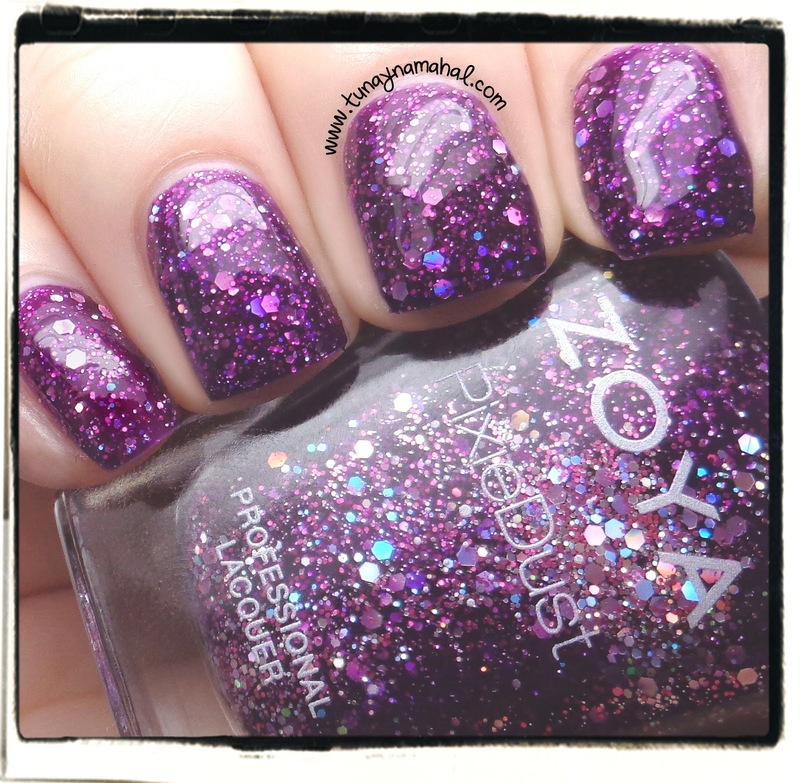 Zoya, hit it out of the ballpark with every single collection this year, but Wishes just doesn't wow me.